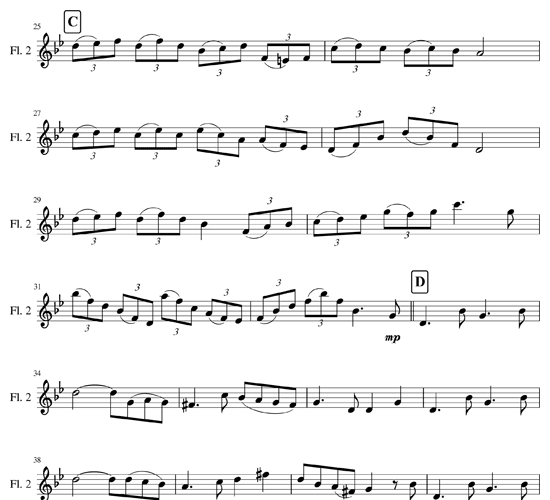 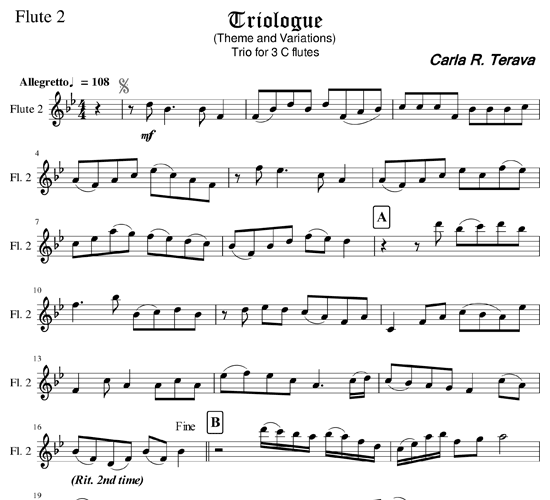 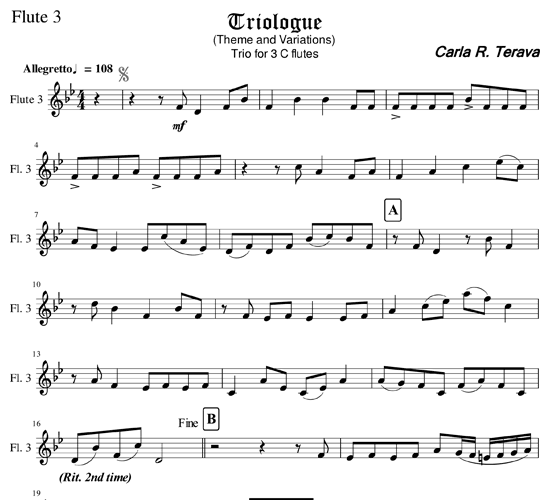 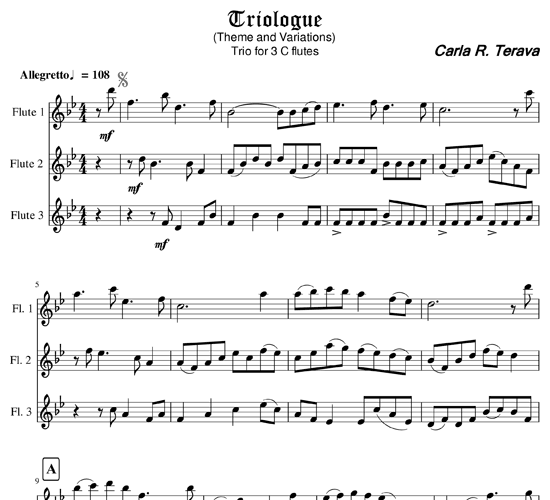 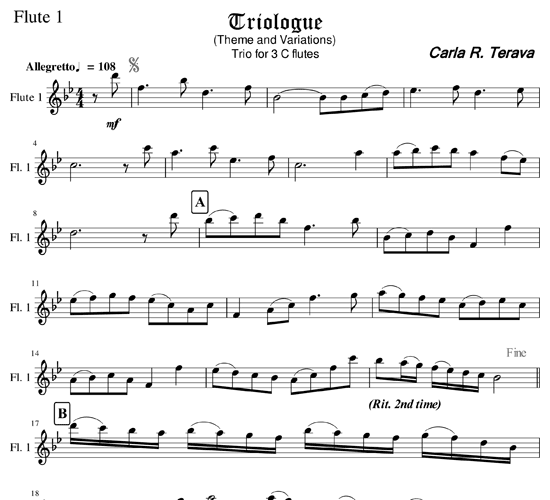 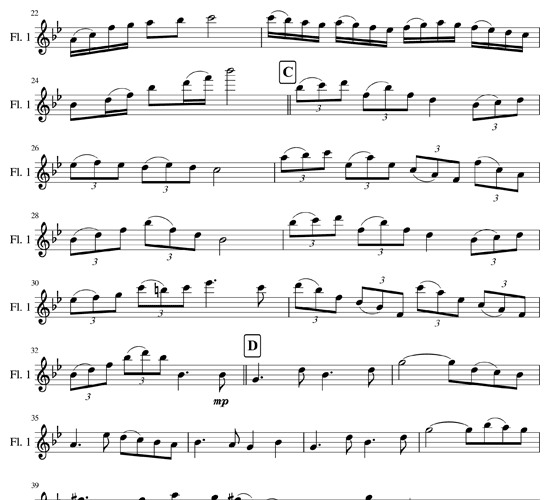 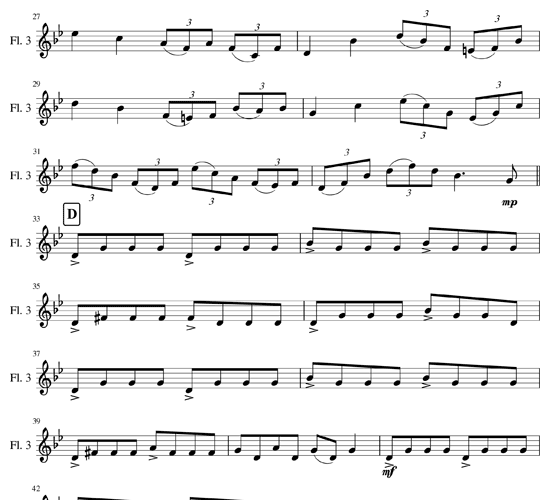 “Triologue” is an original composition written in the classical style of theme and variations. 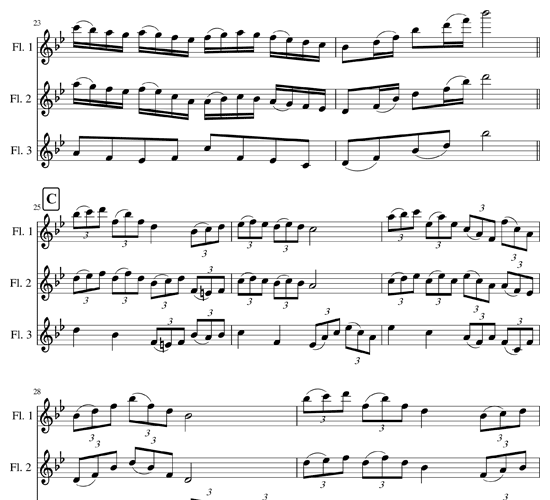 This piece is written for three C Flutes of equal ability. 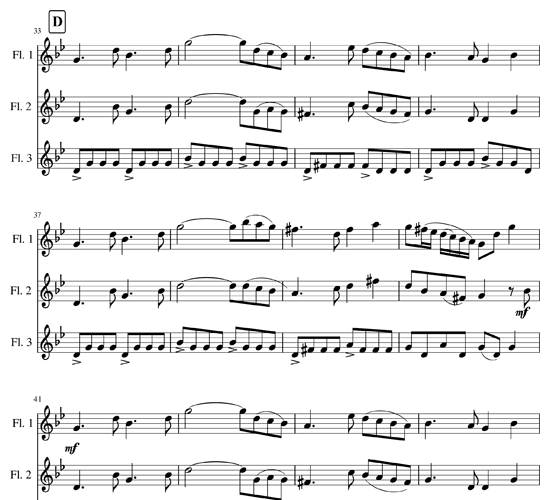 It allows each player to show their skills and individual style. 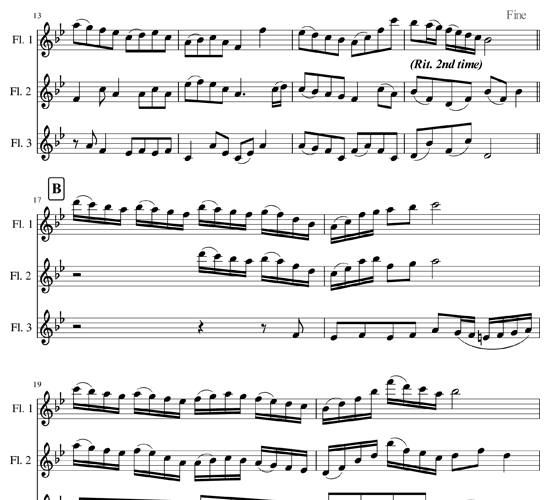 It will challenge intermediate flute players. 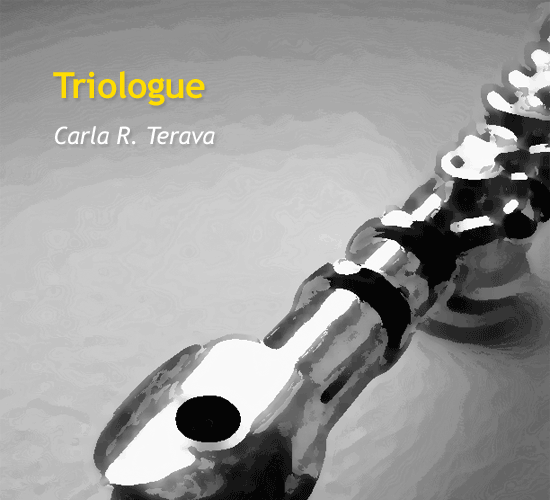 It is a great addition to any program.